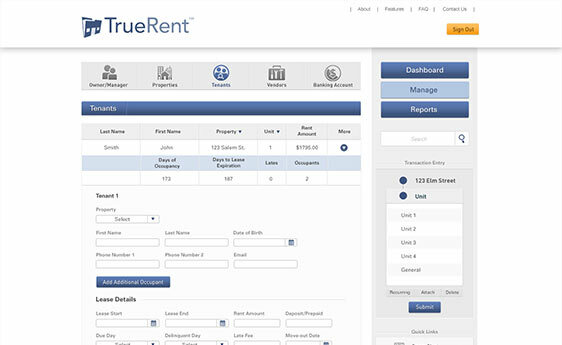 TrueRent is an online property management platform designed for landlords, professional property managers, tenants, applicants and owners. To develop an online cloud-based portal that allows real estate property owners and managers to screen potential tenants, collect rent, manage rentals, and generate reports to improve profitability and save time. 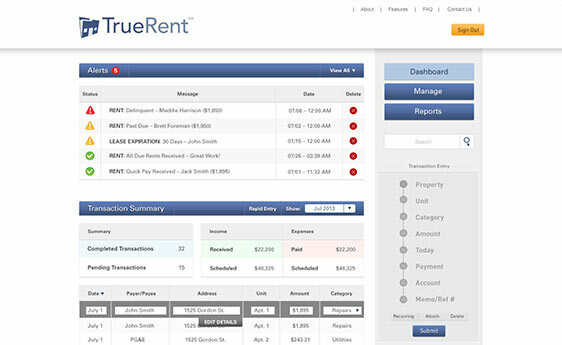 Spritz worked closely with TrueRent’s founder to name, brand, and architect TrueRent. We designed the logo, mapped out the application’s flow, designed and developed the online cloud-based platform and to date, continue to enhance the portal with new features and provide ongoing engineering support. 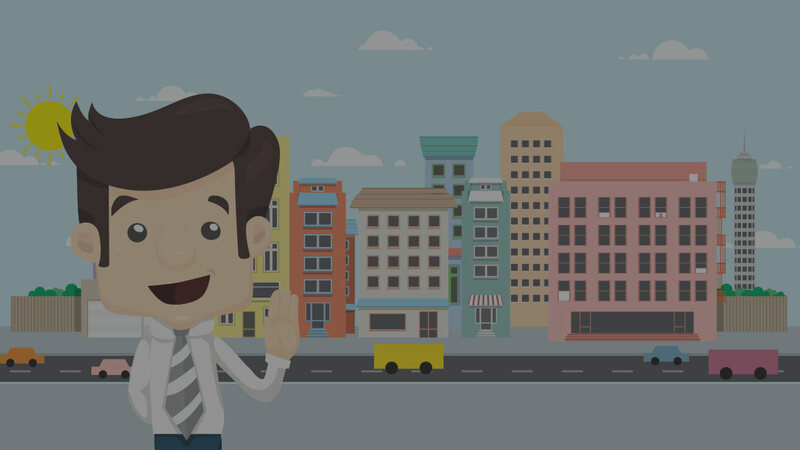 We also produced an animation video showcasing TrueRent’s offerings and how its benefits its users. Upon launch, TrueRent has been a successful product in the marketplace with over 12k property owners, 39+ tenants, and over $200MM in collected rents.